Black and White is always a great combination and was seen a lot on the runways. For winter houndstooth was a must-have. For the upcoming summer 2010, stripes, op-art and graphic prints, some of them with an influence of ethnic ornaments, appeared on the runways.The top by Gareth Pugh is on sale at www.brownsfashion.com and a great buy for the next season. If you are not so into patterns, you can also achieve the look with an accessory like a black belt on a white dress or combine the two colours by wearing a light top and a dark skirt or vice versa. 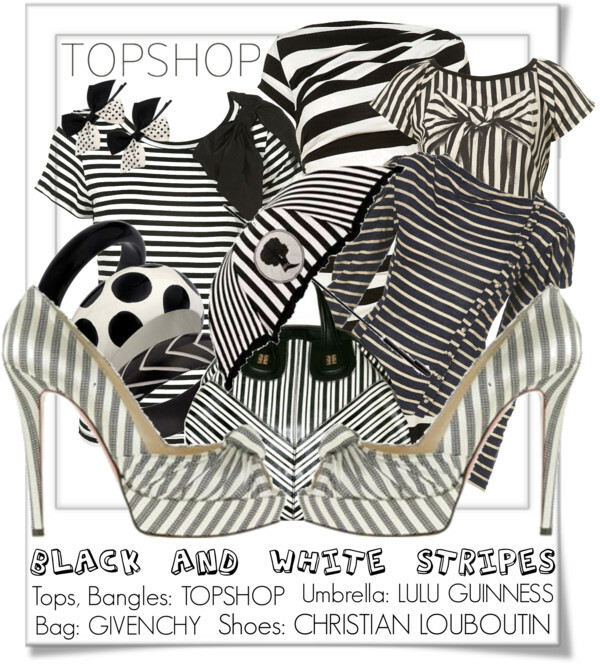 As I am a big fan of the nautical look, I like the black and white striped tops that you can order at www.topshop.com. They are cool, not so expensive and will give you an immediate fashion-update. Optional you can go for a black and white bag or shoes. It is definitely a trend that you will have already in your closet. So start now and enjoy!